What do consumers think when they see your logo? What’s the color of your brand? What emotion is your brand? 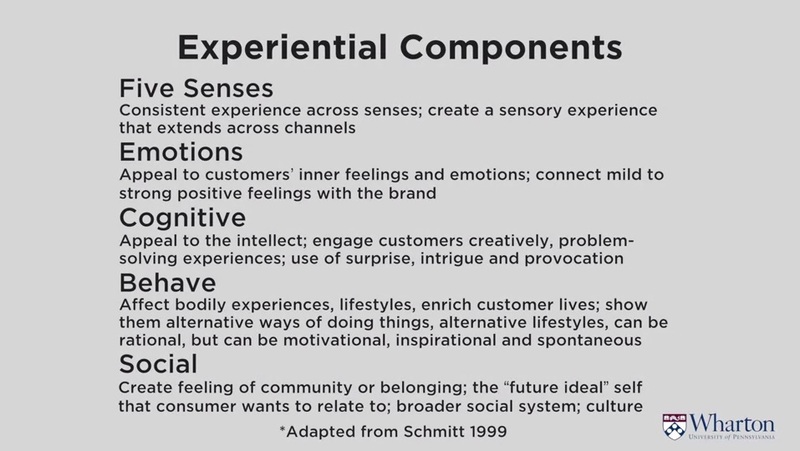 What senses does your brand interact with? How do people act with or around your brand? What kind of people use your brand? A brand is more than just a logo and a product; it’s an experience your customers have that keeps them coming back. An Introduction to Marketing by David Bell, Peter Fader, Barbara E. Kahn. From Wharton and Coursera.